IndieGoGo Campaign Launched | Virginia Friends of Mali IndieGoGo Campaign Launched | Creating and promoting educational and cultural pathways to understanding and cooperation between the peoples of the African nation of Mali and the State of Virginia, USA. 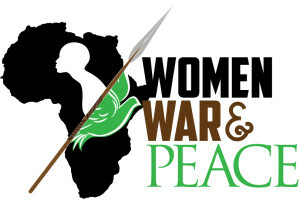 VFOM is raising funds on IndieGoGo to bring Mali’s highest profile peacemakers, Ibrahim ag Youssouf and Zakiyatou walet Halatine, to take a leading role as honored speakers in the Women, War & Peace in Africa Conference on the Virginia Commonwealth University campus in Richmond, VA next Sept. 20-21. But we need your help. We need to raise $5,000 to help with the remaining travel expenses and with honoraria for their distinguished work. So we’re turning to our strongest supporters to ask for contributions. In exchange, we’re offering an assortment of rewards to show our appreciation. Your contribution will help bring this incredible couple to Richmond, and further, it will strengthen the community of people, like Ibrahim and Zakiyatou, whose tireless efforts press ever forward towards peace. Thank you!